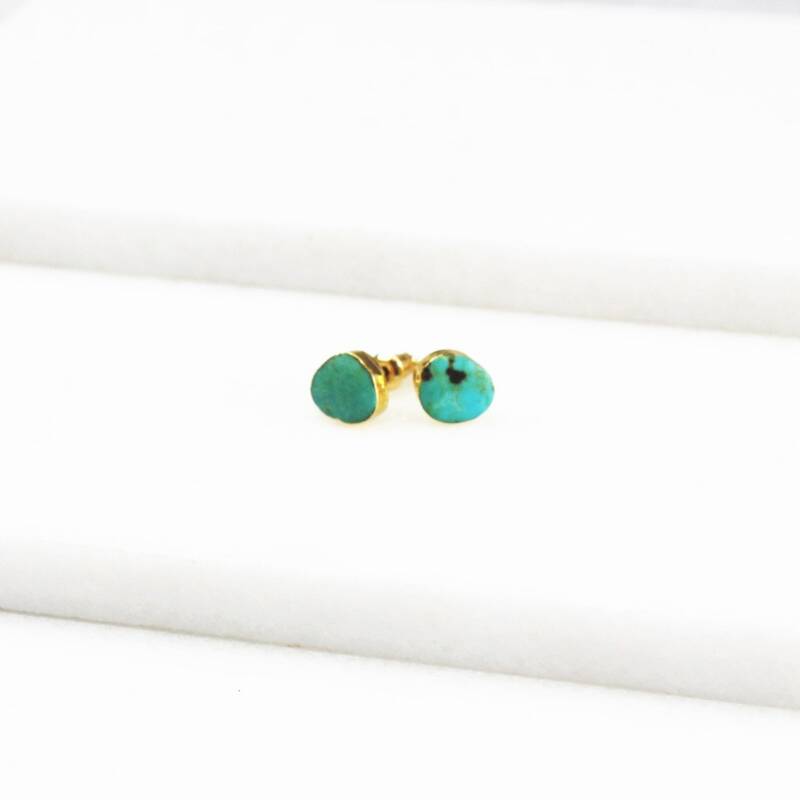 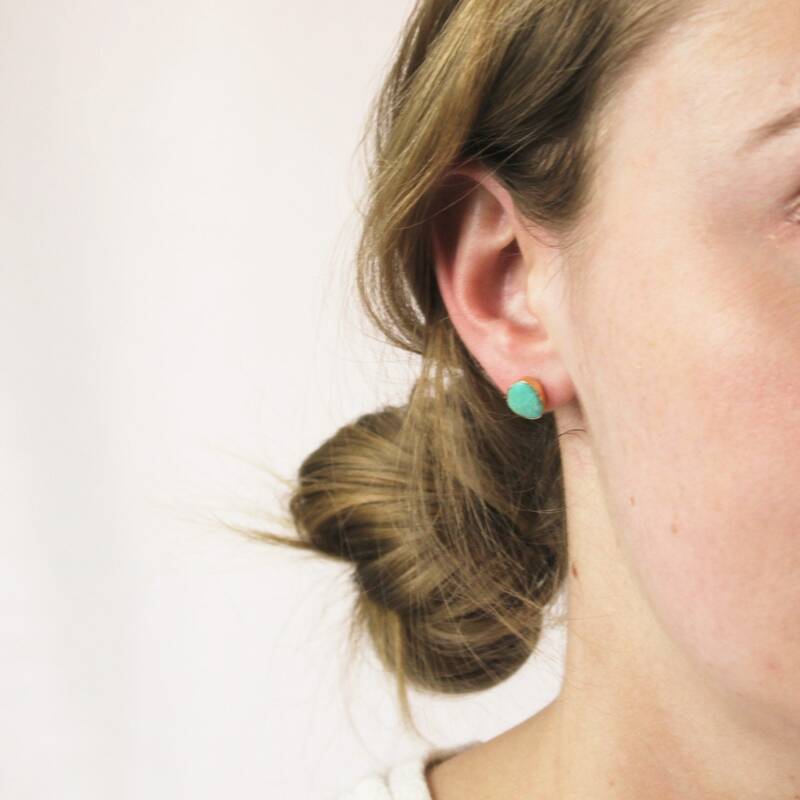 These gorgeous stud earrings are created with real turquoise. 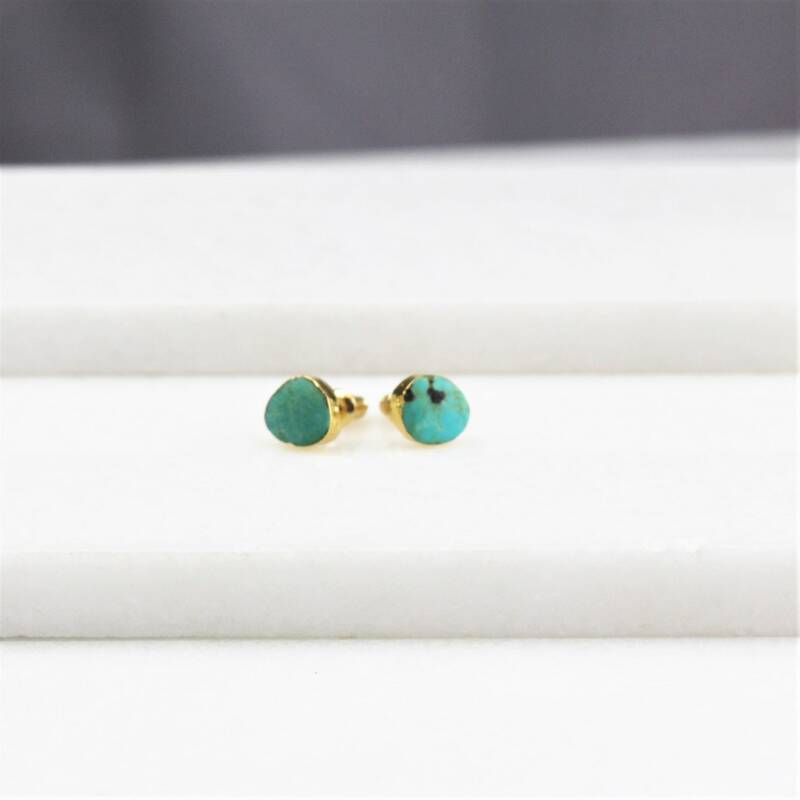 Irregular natural shape and gold plated. 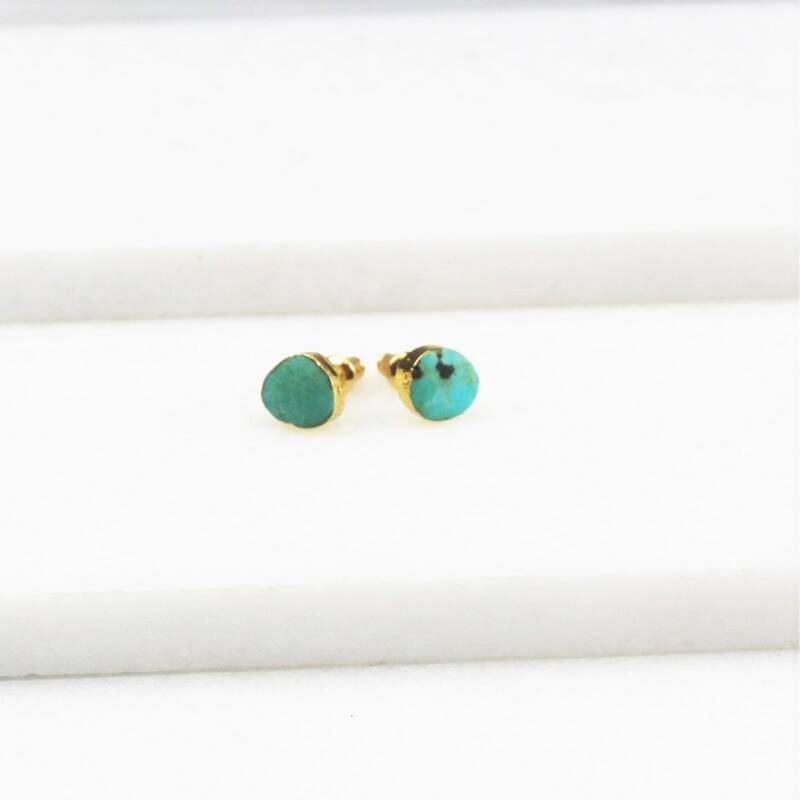 They range from 8-9mm in size.